Today we are going to talk about windshield protection. Windshield protection film is like insurance. It’s one of those things that you wish you had when it’s too late. Like insurance, a windshield protector from rocks also offers peace of mind. Peace of mind encourages enjoyment. Nobody can enjoy something they are constantly worried about. 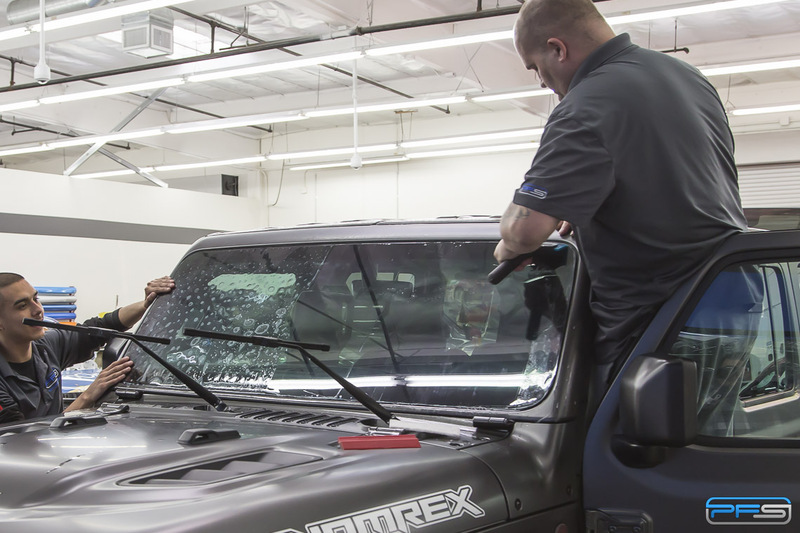 Installation of ClearPlex windshield protection at our shop in Santa Ana, California. Here’s the deal. The average economy daily driver is usually not the candidate for windshield rock protection. A rock gets flung up by an 18-wheeler and smacks into the windshield of a Subaru Impreza and cracks the windshield. A call to the local windshield repair guy and $300 later you have a new windshield. ($280 to be exact. Don’t ask me how I know.) Minor inconvenience? Maybe. You decide. However, when it comes to luxury vehicles, sports cars, track cars and exotics, the incident is not that simple. It’s more than just a couple hundred bucks and a minor inconvenience. 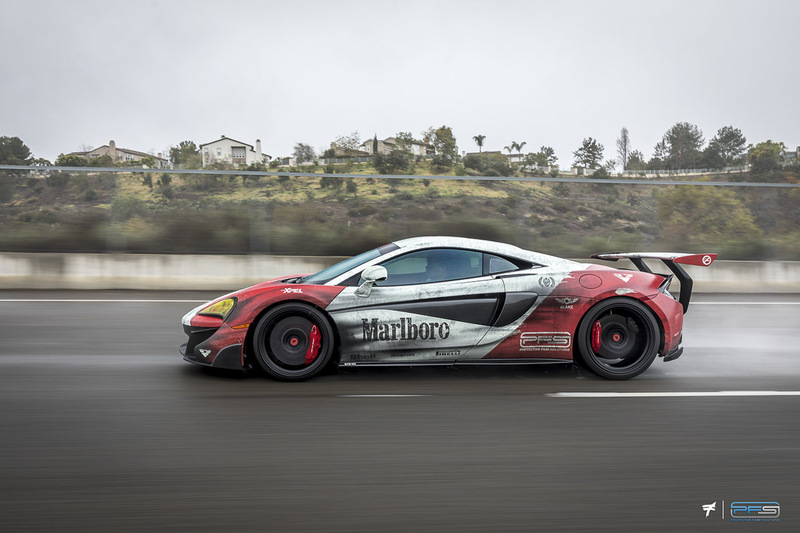 Our shop McLaren 570Vx is of course carrying ClearPlex windshield protection. It gives us the confidence to drive in all conditions. Replacing a windshield is like surgery. It involves a lot of cutting, pushing and pulling on your car. Yeah, that windshield is fixed on there really tight. Getting it out is a project, as expected. Not to mention, the project of putting the new one in. Most exotic car owners cringe at the thought of that kind of hard labor being done on their cars. Way more than just a minor inconvenience. The best way to prevent this from happening is to have Protective Film Solutions install ClearPlex windshield protection on your car as soon as possible. The layer of ClearPlex windshield protection adds a strong skin over the glass that deflects and absorbs the impacts of rocks at high speed. Rocks are by far the biggest culprit when it comes to cracked windshields. The layer that goes over the original windshield is virtually invisible. You have to really look to determine it’s there. Installing windshield protection film on all our customer’s exotic cars is nearly standard procedure. The way is works is this. The windshield film protection layer is made out of a very different material than glass. The glass below is very hard but brittle. This is necessary for structure, protection and of course, clarity. The ClearPlex layer is tough, but thin and flexible. The material itself is rated at 9H, which means it’s actually harder than glass. When placed against a pane of glass, the flexible surface distributes the force of the impact along the surface of the layer instead of directly downwards into the glass surface. The use of ClearPlex windshield protection film aids in helping your vehicle maintain its value. A replacement windshield is not going to do good things for your car’s value, no matter the quality of the installation. A replacement windshield, even if it was from nothing more than a tiny crack, suggests an “accident-like” repair. Those are never good for your car’s value. In the end, it’s best to prevent the damage in the first place. 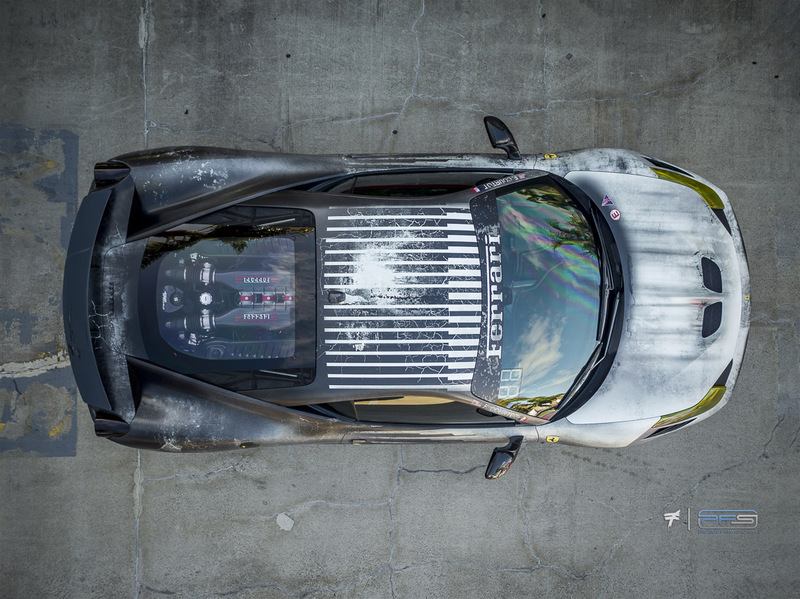 It goes without saying that every hypercar gets protective windshield film. Before we bring this to a close, it must be pointed out that the bulk of this article is based on road-going vehicles. It must be said that for a track car that’s running glass instead of plexiglass for a windshield, the use of ClearPlex is almost mandatory. You’re just asking for trouble if you draft an opponent around a track with zero windshield protection. Specially on tracks along the West Coast where the runoffs are all gravel. You’re pretty much guaranteed being pelted with all kinds of rocks the second the car in front drops a wheel in a corner. Even if you don’t end up with a broken windshield, you will end up with one that has a thousand tiny nicks in it. There is yet one more use for ClearPlex which is actually really useful for daily drivers. If you live in an area with a lot of criminal activity where broken windows, otherwise known as “smash and grabs” are common, using ClearPlex on side windows can help with that. The layer of protection means that while an impact can shatter the tempered glass below the film, the glass pieces are still held together by the ClearPlex layer. This makes it a lot harder for the thief to actually get into the vehicle, even when the glass is broken since the layer of ClearPlex is still held in place. ClearPlex is also good for offroad vehicles where being impacted by rocks, tree limbs and other offroad hazards is common. 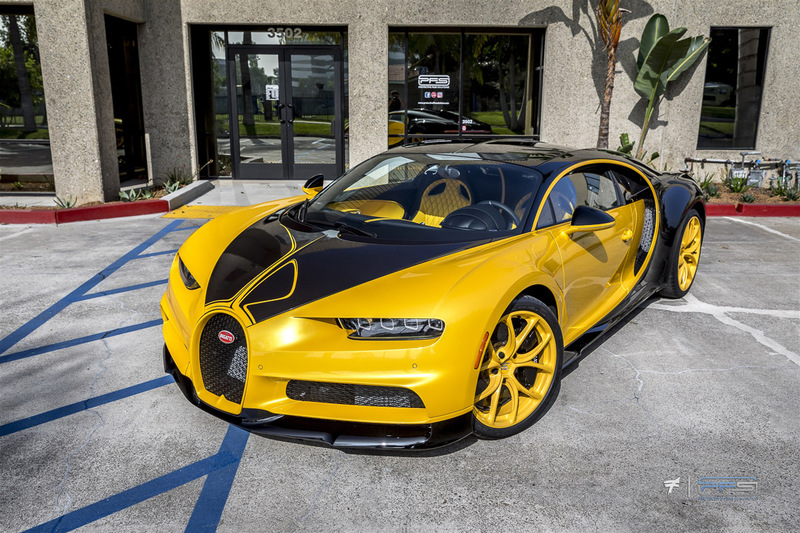 As you can see, there are many benefits to installing ClearPlex protective windshield film on your luxury vehicle, exotic, track car, daily or offroad vehicle. Having the peace of mind that a small rock will not ruin your day is alone reason enough. Then there’s the monetary value of the insurance it affords and the benefit of helping protect your vehicle resale value. At PFS with offer the best windshield protection film in the world, ClearPlex. If you would like to inquire about protecting your vehicle’s windshield, please contact us.